Drivers who are confronted with charges of driving while intoxicated in New Jersey are keenly aware that they’re in trouble, but they might not realize how a conviction will impact their lives over the long term. Depending on the circumstances surrounding the arrest, the driver will face a suspension of driving privileges, fines, fees, possible jail time, community service and an ignition interlock device being placed on their vehicle. People who need their cars for work and family obligations or drive for a living can have their lives turned upside down by a DWI conviction. 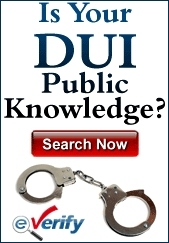 In New Jersey, DWI is not a criminal offense, but a traffic offense. That, however, doesn’t diminish the negatives that can infiltrate a person’s life if they’re convicted of the act. In New Jersey, when a driver is stopped and investigated for possible DWI, the officer will have the driver perform field sobriety tests such as the horizontal gaze nystagmus test and the one-leg stand test. Then a breathalyzer test will be given to determine the driver’s blood alcohol content (BAC). Drivers who are over the age of 21 who register 0.08% or higher will be arrested for DWI. If the driver is under age 21, the level is 0.01%. If it is a driver with a commercial license, the limit is 0.04%. If the BAC is 0.08% to 0.10%, the driver will be subject to a loss of driving privileges for three months. The fine will be between $250 and $400. There will be fees including $230 to the Intoxicated Driver’s Research Center (IDRC), a $1,000 surcharge annually for three years, $100 each to the drunk driving fund and the Alcohol Education and Rehabilitation Fund (AERF), and $75 to the Neighborhood Services Fund. There could be a jail sentence of 30 days. It can also jeopardize the status of your immigration if you aren’t a US citizen. With a BAC of 0.10% or higher, the driver will have his or her license suspended for between seven months and one year. The fine will be for $300 to $500, the IDRC fee will be $230, the drunk driving fund and AERF will be $100 each, there will be a surcharge of $1,000 annually for three years, and $75 to the Neighborhood Services Fund. There can be a 30 day jail term. If the BAC registers 0.15% or higher, there will be an ignition interlock device placed on the driver’s vehicle while the license is suspended and for six months to one year after the privileges have been restored. The punishments for repeated DWI convictions are more substantial. If there is a second conviction within ten years of the first conviction, there will be a driver’s license suspension of two years. The fine rises to between $500 and $1,000. The IDRC fee is $280. The drunk driving fund and AERF remain at $100. There will be a $1,000 surcharge for three years and $75 will be paid to the Neighborhood Services Fund. Jail time can vary from between two days to 90 days. There will be one month of community service and the ignition interlock device will be on the vehicle for one to three years after driving privileges are returned. If there is a third offense within ten years of the second offense, the driver will have his or her license suspended for ten years. The fine will be for $1,000. The Neighborhood Services Fund, IDRC, drunk driving fund and AERF fees remain the same. There is a surcharge of $1,500 annually for three years. There can be as many as 180 days in jail. There can be three months of community service that might reduce the jail time. The ignition interlock device will be for one to three years after driving privileges have been restored. It’s not just that drivers who are convicted of DWI will have to deal with the above penalties. While the fines, jail time and other punishments are substantial, drivers might not consider the ancillary penalties they will have to handle. Defending a DWI charge can be costly because of the need to hire an attorney. Whether or not there is an acquittal or conviction, the bill for an attorney will have to be paid. 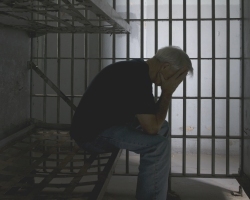 When a driver is convicted and sent to jail, it can negatively affect the person’s personal life. Perhaps they might lose their job. At worst, they will lose the income while they are incarcerated. Some people need their driver’s license for work and if their privileges are suspended, they’re going to have to make other arrangements. There is also the issue of being away from one’s family while incarcerated. A driver who is convicted of DWI will have the stigma of DWI following them around in their community. The driver’s insurance rates will also rise.